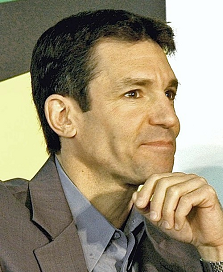 Founding director (1998) of Yale University's Yale-Griffin Prevention Research Center, and current President of the American College of Lifestyle Medicine. He earned his BA degree from Dartmouth College (1984); his MD from the Albert Einstein College of Medicine (1988); and his MPH from the Yale University School of Public Health (1993). He completed sequential residency training in Internal Medicine, and Preventive Medicine/Public Health. He is a two-time diplomate of the American Board of Internal Medicine, and a board-certified specialist in Preventive Medicine/Public Health. He has received two Honorary Doctorates. Dr. Katz has published roughly 200 scientific articles and textbook chapters, and 15 books to date, including multiple editions of leading textbooks in both Preventive Medicine, and nutrition. Recognized globally for expertise in nutrition, weight management and the prevention of chronic disease, he has a social media following of well over half a million. In 2015, Dr. Katz established the True Health Initiative to help convert what we know about lifestyle as medicine into what we do about it, in the service of adding years to lives and life to years around the globe. Fred is the founding and managing partner of Results Thru Strategy (RTS). LeFranc’s aptitude in strategic planning, leadership training, and business development has helped numerous companies achieve increased sales and profits. His expertise is in strategic planning, organizational development, executive coaching, performance management, marketing strategy and technology-based systems enhancement. Mr. LeFranc’s 4 decades of hospitality experience includes stints as COO, CEO board member and President of numerous hospitality and technology brands, including Flat Rock Grille, Ruby’s Diner, Fishbowl Marketing and Louise’s Trattoria. His admirable turnaround for Louise’s, which involved design, concept development, food production, IT systems and operational executions, was chronicled in Inc. Magazine. Ms. Sarah Grover has been the Chief Brand and Strategy Officer of Barfresh Food Group Inc since April 2015. Ms. Grover served as the Executive Vice President and Chief Concept Officer at California Pizza Kitchen, where she was the most tenured executive and responsible for all aspects of marketing and culinary business operations. While at CPK, Ms. Grover held several senior leadership positions in which she was responsible for company brand development, strategic turnaround initiatives and licensing partnerships. Prior to joining CPK, she served as Director of Marketing for the Music Center of Los Angeles County and the Los Angeles County Museum of Art. Ms. Grover is a member of the UCLA Extension Dean's Advisory Board, the UCLA Extension Restaurant Conference Board of Advisors, and former CO-Chair of the National Restaurant Association's Marketing Executive Group, She earned a Bachelor of Arts in Communication from DePauw University.